Before you start reading this article, I want you to really clear your mind of all distractions. Deal? What I am about to share with you is what I have shared with many of the top originators in the United States, many of whom are now experts and trainers you may know. While every Loan Originator is always trying to grow their production and every manager is trying to motivate their staff, we don’t always seem to succeed. If you have ever wondered why that is, then pay very close attention. We all seem to be focused on the “What to Do” and the “How to Do It,” constantly looking for new and creative ways to generate new relationships and close more loans. ►How many loans will I close next year? ►What marketing methods will I use? ►What new relationships can I establish and how? ►What new widget or shiny object will be my new focus and solve everything? The cold hard truth is what we never want to face! This cold hard truth is that you will only succeed to the level of your own self-image. Please stop right now. Write that down on a piece of paper and put it where you can see it. This one reality has totally changed my own life and production, and it is also the foundation of a book called Psycho-Cybernetics by Dr. Maxwell Maltz. As a manager and trainer, I have seen numerous Loan Originators explode their production with the tactics and systems I teach, and then, for no apparent reason, they crash and burn. I am sure you have too, but have you ever stopped and really wondered why that happens, especially when there doesn’t seem to be any apparent logical reason? It’s all about your self-image. Let’s say that you feel very comfortable knowing that you can produce $1 million a month. Some months are better and some months are worse. But then you find a great strategy. You implement it and it works beyond your hopes. You now start producing $2 million the next month and $3 million the month after. Pretty good huh? But then month four comes around and you originate $750,000. You think you are doing all the right things and you wonder what happened. This has been working so well, why did it suddenly and for no apparent reason stop? If you see yourself as a $1 million producer, that is your self-image. When you exceed your self-image, you will subconsciously work very hard to get back to a level that is consistent with your current self-image. This is exactly why you see some Loan Originators experiencing short-term success and then immediately crashing and burning. Before you can take your production to the next level, you must first really stop and think about what your self -image is. Let’s say you are in fact a solid $1 million a month producer and you want to take your business to $2 million consistently. ►What does a $2 million producer do to produce business? ►What would it feel like to be a $2 million producer, both income-wise and prestige-wise? ►How does a $2 million producer speak and what do they wear? Sound hokey? Probably! It sounded that way to me too at first. But if you can truly imagine in your mind what producing $2 million a month feels like. Imagine yourself as a $2 million a month producer and convince your subconscious that it is your reality than you will accomplish it. I barely graduated high school and was certainly not a great student. I came from what would now be considered a lower-middle-class home with my parents just struggling to stay middle class. I had no special advantages or skills. Yet, I saw myself as a millionaire. I convinced myself and sold my subconscious mind on the fact that I was a successful Originator, earning millions of dollars. Don’t misunderstand. This is not think good things and good things will happen! Thinking is important, but you must also go out and implement strategies that work. Instead, what this means, is that even if you have strategies that work and the skill set to succeed, if your subconscious self-image is not in sync, then you will either not succeed at all or only have temporary success. Think about this important fact now as you make up your goals and strategies. It’s exactly what I share with my own Top Originator Mastermind members and now you know this important secret too! 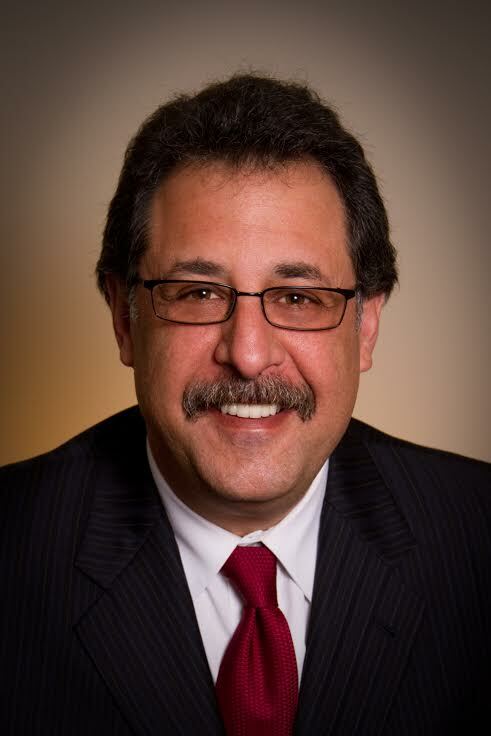 Brian Sacks is a national mortgage expert with Homebridge Financial Services Inc., located in Owings Mills, Md. He has compiled more than 30 years of mortgage experience and career closings of 8,000 loans in excess of $1 billion. He is a recognized leader in the mortgage industry, and is the resident expert for NBC Channel 11 and has also appeared on the local CBS and ABC stations. Brian has appeared nationally in more than 42 states. Brian is considered the national expert on working with credit-challenged buyers. He is also a respected coach, and speaker and the founder of the Top Originator Mastermind. You can watch his four-part, free video series on “How to Close More Loans: Make More Money and Still Enjoy Life” at http://TopOriginatorMastermind.com/NMP.